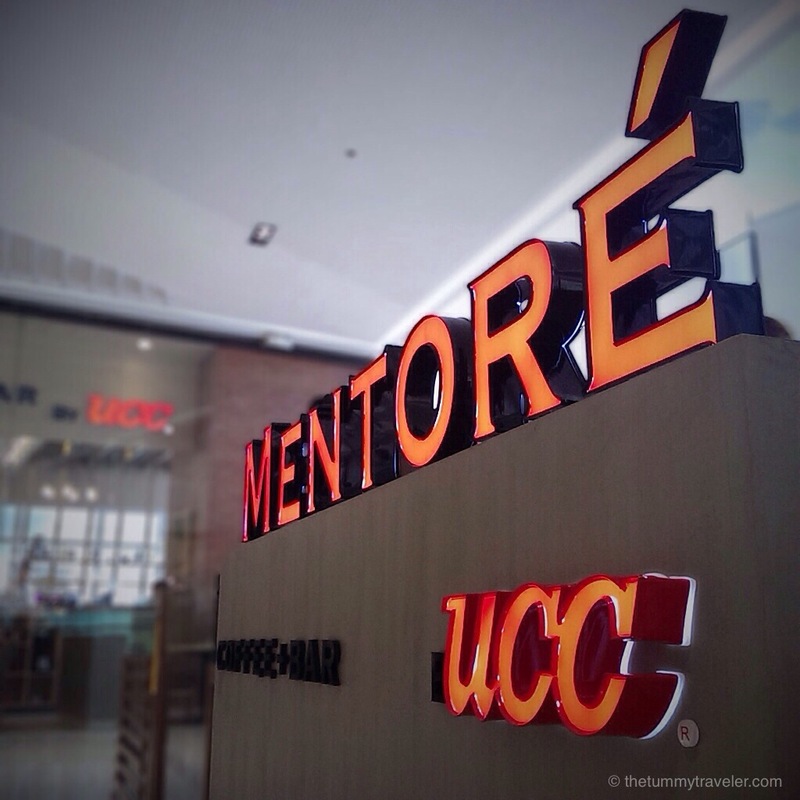 Mentoré by UCC at SM Aura opened just last October 14. At UCC, we bring you more than just a cup of coffee. We share with you eighty years of passion, dedication, and pursuit for excellence to bring you an experience that makes you smile. Precisely measured cold water is allowed to drip over medium coarse ground coffee over 8 hours. This produces a brew which is silky with deep coffee notes without the usual acidity. No oxidation = less acidity. 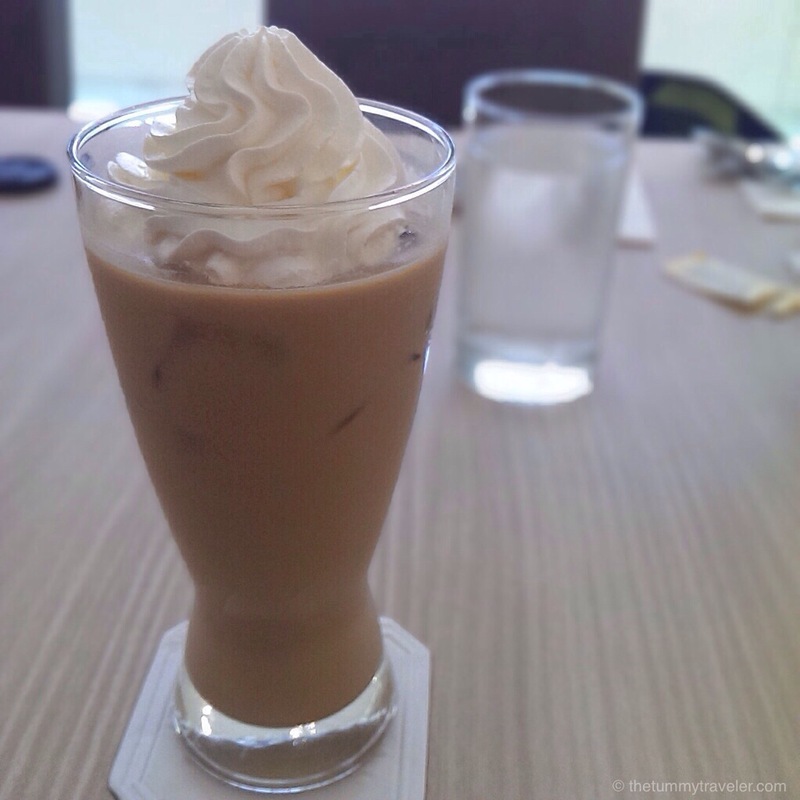 So, even if you prefer your coffee hot, cold or make coffee jelly, you still get the fuller taste of the coffee. 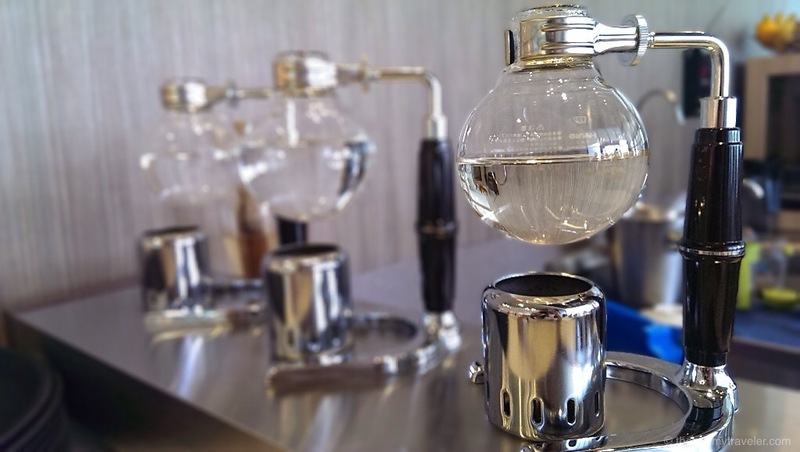 But not as aromatic as using Syphon. Produces a smooth medium body and flavorful cup using medium ground coffee. Best with high acidity coffee. 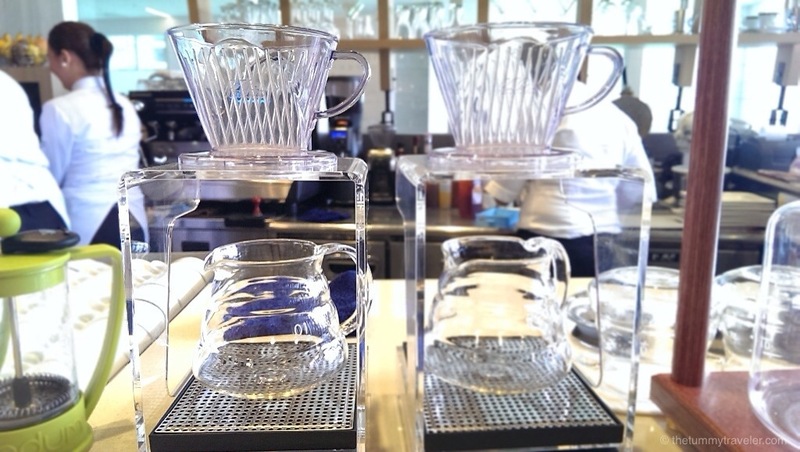 A cone-shaped paper filter is utilized to extract coffee. Water at off-the-boil is carefully spread over medium fine grind coffee with an unfailingly clear, fragrant and seductive coffee cup. This gives the best aroma. 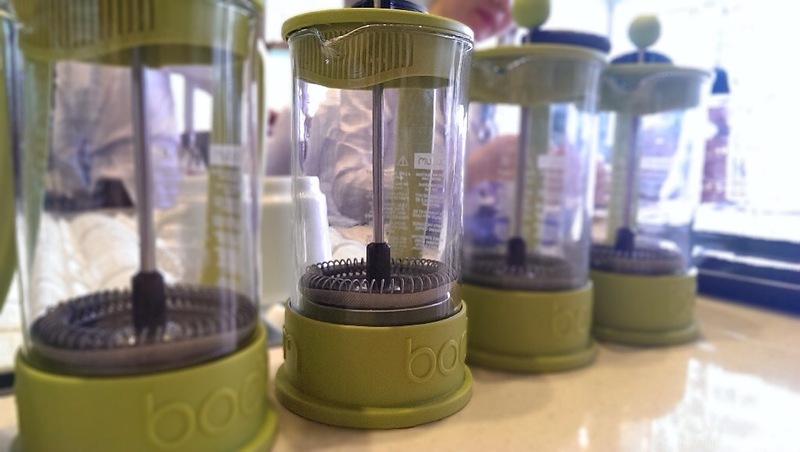 Uses a fine mesh filter plunger unit attached to the lid to separate ground coffee from hot boiling water. Uses coarse ground coffee and produces a heavy-bodied coffee. I prefer French Press over the others because I like my coffee strong. This is what I also use at home. The amount of water is also important. Timing – steeping the coffee for 4 minutes. *In Mentoré by UCC, they serve the coffee to the customer about a minute before it is ready. 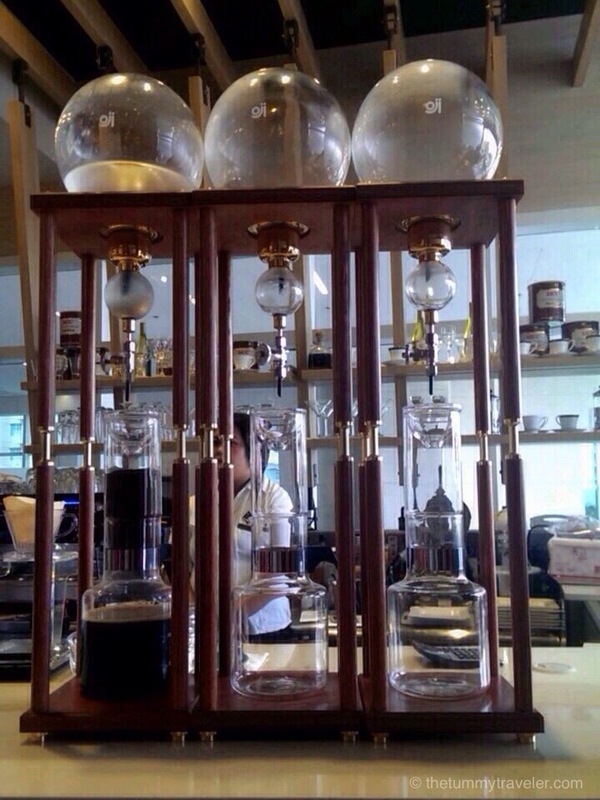 They prepared a Mentoré House Blend using Syphon, Pour Over and French Press. Same variety blend but brewed differently. You can really tell the difference but I still prefer the French Press preparation. Mentoré by UCC does not only offer coffee. 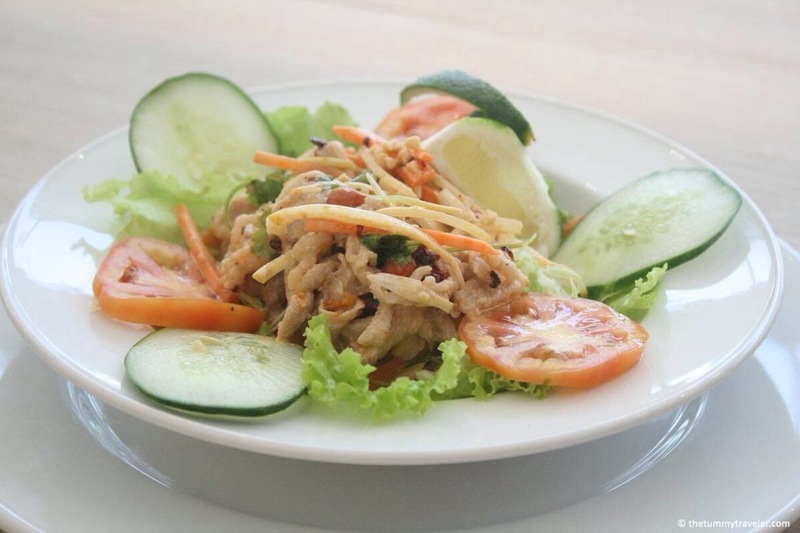 They have an extensive list of interesting Western and Asian dishes and drinks. 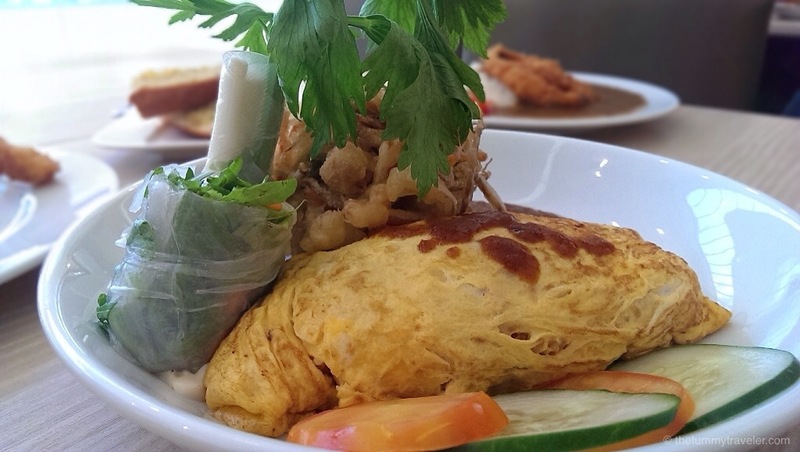 This omelette is stuffed with buttered tomato rice. The butter on the rice and the egg neutralizes the acid that the tomato gives. I find it a little lacking in salt but no worries. Just request for table salt so you can tweak the dish to your desired taste. The small fresh spring roll makes for a light side dish. While I like eating Vegetable Kakiage, I find their version a little oily. But overall, this dish is pleasant and creative. 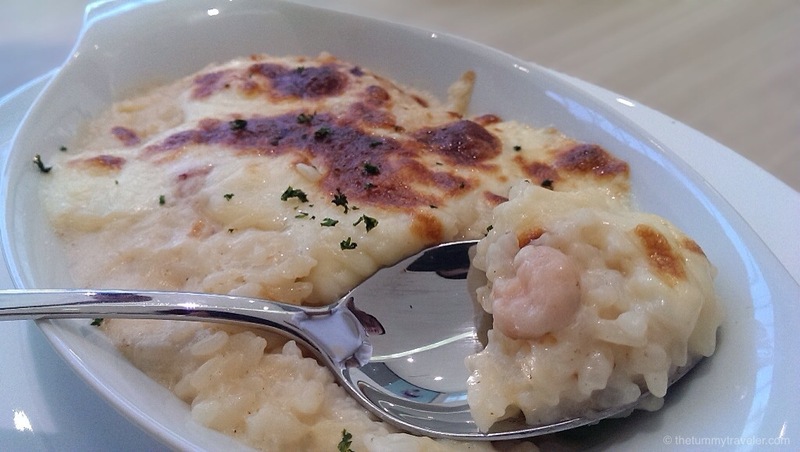 This rich and buttery dish with creamy Japanese white sauce and melted cheese dish reminds me of Risotto. Perfectly seasoned, delicious and steaming. This colorful salad is full of flavor with a kick! But the combination of savory and fresh ingredients are fabulous! Don’t forget to squeeze the lime. It gives off just the right amount of acidity. But if you are not into spicy food, best to steer clear from this instead. Start your day right by ordering this. 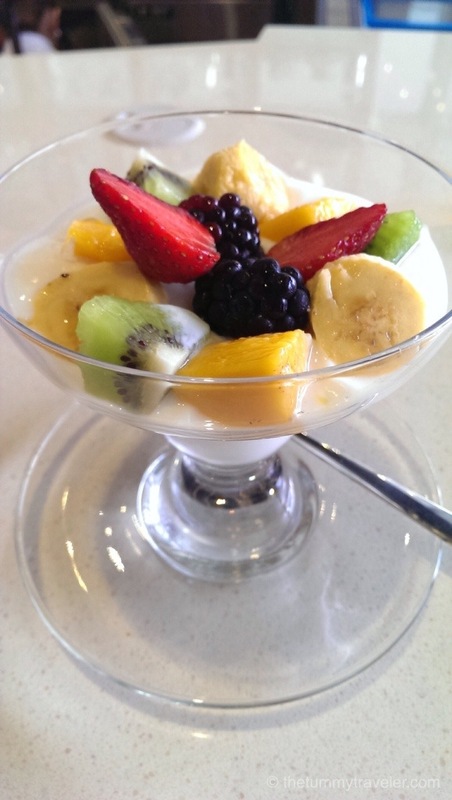 Fresh fruits and yogurt always make a perfect combination! Healthy, light and pretty to look at, too. 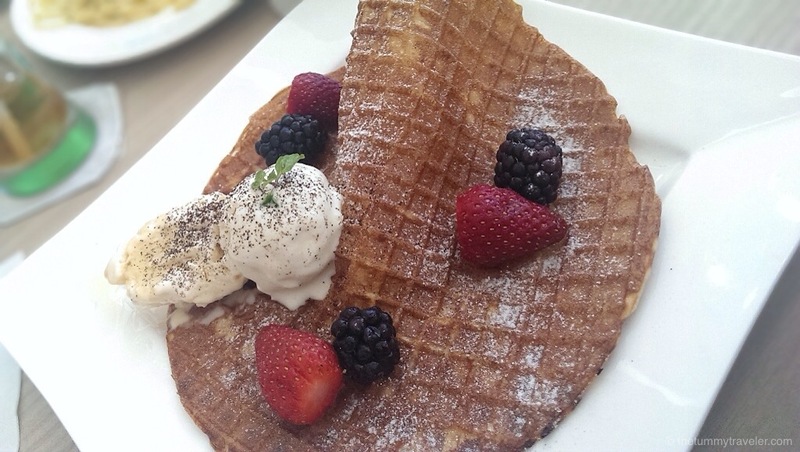 This a combination of waffle and crepe with fresh fruits. Instead of rolling it up, you cut it up to your desired size. Spread some Tiramisu “cream” on it and add a couple of fruit slices for that unique taste. It’s not as soft as crepe nor does it have the same texture of a waffle. It’s chewy with a slight rough texture. Delicious indulgence! Unique blend of the world’s finest coffee, sparkling water and honey syrup. 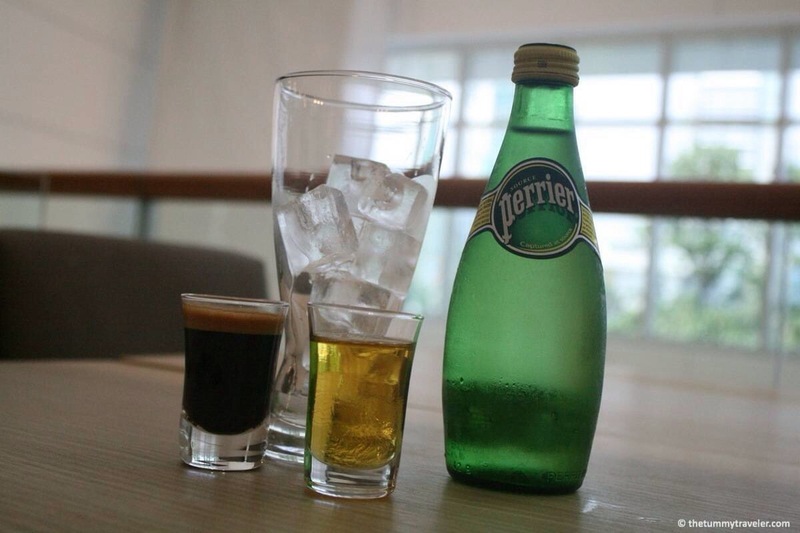 Pour-in the espresso and the sparkling water and sweeten it with honey syrup. 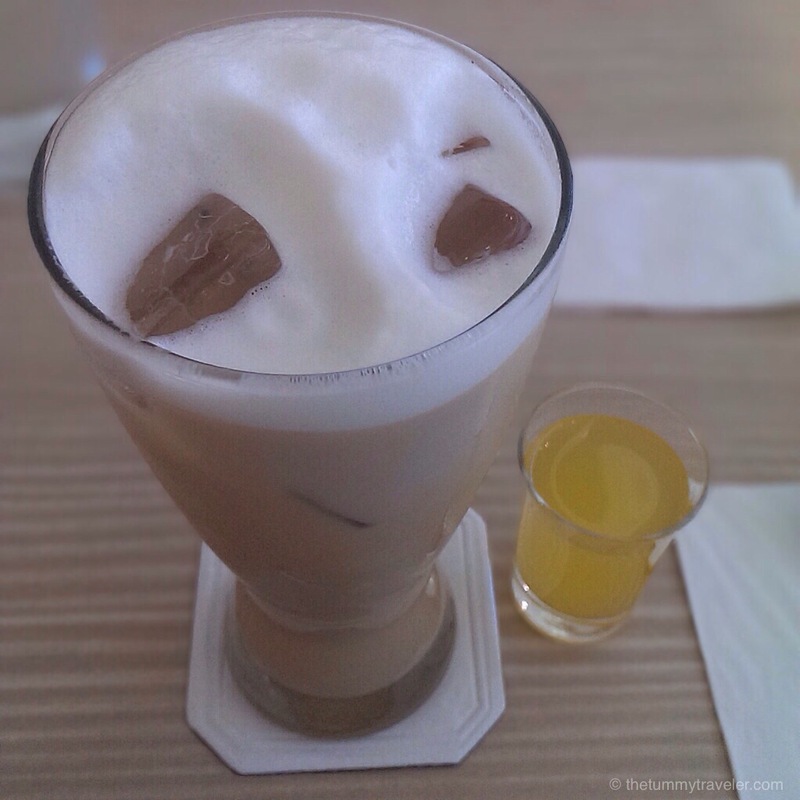 And voila… a delicious coffee soda! 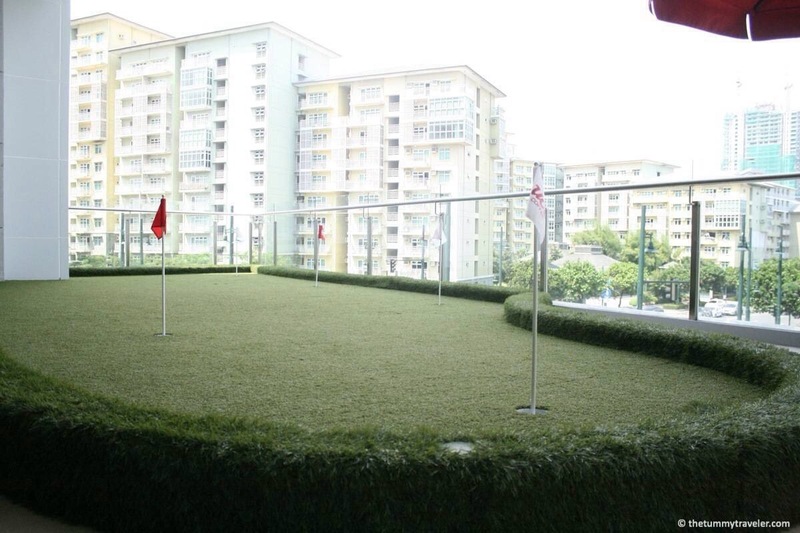 A very cool place with great outdoor seating where you can also brush up on your golf putting skills. Clubs are available for you to use. Experience coffee like no other at Mentoré by UCC. Relief for “Super Typhoon Yolanda” victims! UPDATED: All for #YolandaPH Victims!